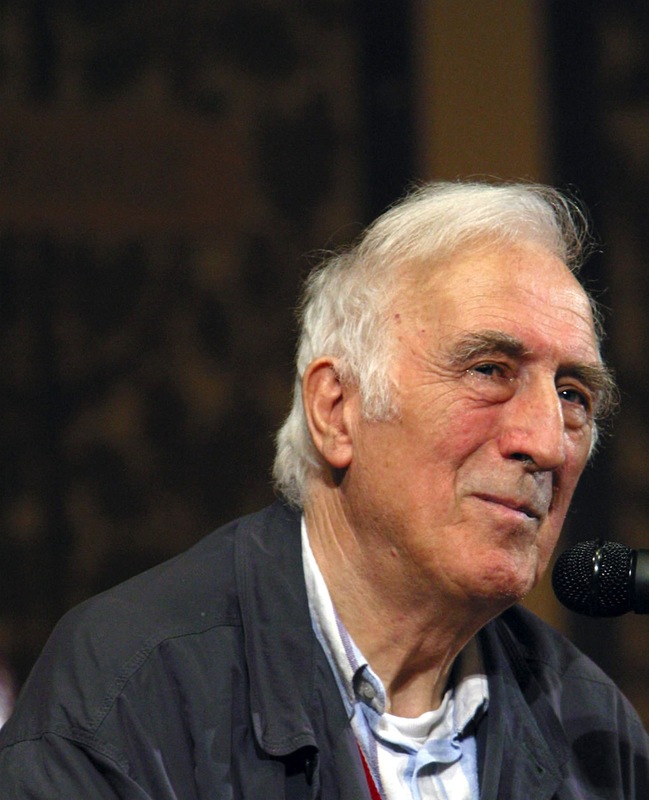 Jean Vanier is a French Canadian Catholic philosopher and humanitarian who founded L'Arche, an international network of 147 communities (35 countries, five continents) for mentally disabled persons and their caregivers. With Marie-Hélène Mathieu, Mr. Vanier also founded Faith and Light, a network of 1,500 support groups in 82 countries that similarly urges solidarity among people with and without disabilities. He is the current (2015) winner of the Templeton Prize, a $1.7 million award honoring his affirmation of the spiritual dimensions of life. Mr. Vanier, 87, has said he intends to give this money to developmentally disabled persons in the L’Arche network. While Mr. Vanier was visiting France late in 1963, he had his first encounter with intellectually disabled men living in government-sponsored psychiatric hospitals, and he quickly understood them to be “the most oppressed people on the planet.” The first L’Arche community began a few months later when he invited two men, Raphael Simi and Philippe Seux, to leave their institution and live with him at a house in Trosly-Breuil, a small village north of Paris where he continues to reside today. Mr. Vanier named his new home “L’Arche” after Noah’s Ark, gradually establishing similar communities in other countries. Mr. Vanier holds a PhD in philosophy from the Institut Catholique de Paris, where he wrote his dissertation on Aristotle’s notion of happiness. He is the author of more than 30 books, including most recently The Gospel of John, the Gospel of Relationship (2015) and the upcoming Life’s Great Questions(due in English from Franciscan Media on August 21). In 2014, Franciscan Media produced a 14-part video series on The Gospel of John (“Into the Heart of God”) hosted by Mr. Vanier in the Holy Land. His previous humanitarian awards include the French Legion of Honour (2002) and the Pacem in Terris Peace and Freedom Award (2013). On May 12, I emailed a set of interview questions for Mr. Vanier to Isabelle Aumont, director of the Jean Vanier Association in France. Ms. Aumont visited Mr. Vanier at his home in Trosly-Breuil, recorded his answers and sent them back to me on Aug. 3. The following transcript of Mr. Vanier’s responses to my questions about his work is unabridged. On March 15, we learned that you are the 2015 winner of the Templeton Prize. Why are you giving the $1.7 million cash award from this prize to developmentally disabled people? Well, it’s very simple: It’s because of them that I won the prize. The prize was awarded because L’Arche and Faith and Light have grown across the world and because people with disabilities have changed other people. So it’s obvious that if it’s because of them I received the prize, the prize must go back to them. In this way, they can continue their work of changing the hearts of people and leading them to Jesus. What gifts do mentally handicapped persons bring to society? They have beautiful hearts, they don’t have big heads, they’re not people who want to know things. What they want to know is: “Do you love me?” Maybe that is what we all want to know: “Do you love me?” Maybe that is the heart of the Christian message: that Jesus loves us and therein is our joy. That is what people with disabilities reveal to us. That is the only one important thing; that it be revealed that Jesus loves me. You’ve talked a lot about the “tyranny of the normal” and the “religion of success.” What do you mean by those comments? We live in a culture of success and winning, a culture of power, and a culture of knowledge. When we are caught up in the knowledge that we must win and must have individual success, we very often leave behind those who are weaker. The gospels reveal something really very new, that the mission of Jesus is to announce a good news to the poor. What is that good news? It’s not just that “God loves you,” but that “I love you!” The whole of the message of Jesus is to reveal to the poor that they are precious, whereas we live in societies where so frequently they are put aside. You were a philosophy professor at St. Michael’s College in Toronto before you started L’Arche, but you gave up a comfortable academic career to live with the mentally handicapped. What moved you to do this? I think it was simply because I felt that Jesus wanted me to do it. I felt attracted to the mystery of people with disabilities particularly when I found out how crushed they have been. In the United States we can all remember the hundreds of institutions where they were locked up. Thank God that there were people like Wolf Wolfensberger and others whose mission was to open up the big institutions and to help others to discover that men and women with intellectual disabilities are beautiful. We have to remember what Saint Paul said: “God has chosen the weak and the foolish to confound those who are caught up in intellectuality and in power.” God had chosen the most despised, so if God had chosen them, then Jesus wanted me to be with them! What is the philosophy of L’Arche? The philosophy of L’Arche is very simple. The important thing is that people who have been pushed aside and humiliated, need to be shown that they are precious. So it’s living together in community that we reveal to each other that “you’re precious.” The wonderful thing is that when we live with people with disabilities, not only are they transformed because they discover they’re loved, but we also are transformed. That is the secret of the philosophy of L’Arche: that we transform each other in helping each other to become more human and more like Jesus. What role does the Catholic faith play at L’Arche? L’Arche's first seeds were planted in the soil of the Catholic Church. However, L’Arche quickly became ecumenical and interreligious as it welcomed men and women with disabilities who belonged to different denominations and different religions. L'Arche has often used the ritual of the washing of the feet as a universal symbol of servant leadership, unity and communion across difference. Catholic means universal, and Jesus teaches us a universal love. Faith, religion, and culture find their deepest meaning, as they become a way to permit us to be bonded to God, the God of love and compassion, which give us the wisdom to meet others who are different as persons. Every person—whatever his culture, religion, values, abilities or disabilities—is important and precious to God. Who are your role models in the Catholic faith, either living or dead? The real role model is Jesus and he is revealed to us in the Gospels. We see how he lived, and the parables he told. For example, take the parable of the Good Samaritan where Jesus says: “do what he did,” that’s to say be compassionate. Jesus is an incredible role model and he teaches us to love each other as he loves. We only have to look at Jesus through the Gospel message to see how we are called to live. What have you learned from living with the intellectually handicapped? I have learned that the message of Jesus is really a question of humility. The incredible thing about Jesus is that he was with God, he was God, and he descended and became a human being. Not only did he become a human being, but he accepted to be rejected and crucified. The incredible thing is that these little people teach us how to grow in humility, and humility is to enter into a relationship with people who have been humiliated. It’s a beautiful way to learn how to live the Gospel message. It is a strange question! “How do you pray?” means “what is your relationship with Jesus?” because that is what prayer is. It’s a relationship, it’s sitting hand in hand with Jesus. John the beloved disciple rested on the heart of Jesus. So to pray is just to be with Jesus, to rest with Him. There are times when it’s really important to be alone with Jesus, and to take time to listen to Him. Listen to the words of the Apocalypse: “The Lord says ‘I stand and I knock at the door, if somebody hears me and opens the door, I will enter and eat with that person and that person will with me.’” So, to pray is somehow to call out to Jesus and to accept his invitation, or rather to invite Jesus into our hearts so that we can become his friends. So to pray is to be a friend of Jesus. You named your community “L’Arche” after Noah’s Ark in the Book of Genesis. What is your favorite scripture passage and why? Where do you find Jesus Christ in your life? It’s in my heart. This extraordinary text we find in the 14th chapter of Saint John: “If somebody loves me, he’ll keep my word and my father will love him and we shall come and make our home in him.” So, the gift is to find Jesus in my own heart. That connection and presence need to be nourished daily, finding Jesus in the Word of God, in the Eucharist and in the Church, to discover that the essential is that Jesus lives in me and I live in Him. There was an English-language documentary about you in the 1980s called “The Heart Has Its Reasons.” What is the greatest desire of your heart today? Just to be faithful to Jesus and to live the essential, which is to remain in His love. I need His help just to be faithful and to continue on this road. This is particularly true as I become more fragile, as I’m 87 today and tomorrow I’ll be a little bit older, and then I’ll be a little bit older, etc. I need His help just to live what I’m called to live in the Spirit of Jesus and to give me the strength to be what He wants me to be, every day. What message do you hope people will take away from L’Arche? Really I hope that people discover that people with disabilities are beautiful people. It’s not a question of doing things for them but it’s really about becoming their friend. Maybe that is the heart of the message of the Gospel: become a friend of Jesus. The heart of the message of L’Arche is to become a friend with people with disabilities. As we become a friend with them we are changed, we open up and we discover that every person is precious. For myself the future is to grow gently into weakness and to discover that in the heart of weakness there is the presence of God. And after that, growing in weakness, we grow in the greater weakness which is eventually to fall in the arms of God when we die. A person to celebrate who answered Jesus' question of who our neighbor is and how to love that neighbor. A witness to the gospel. A witness to life. Thank God indeed.